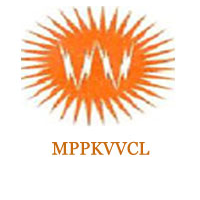 M.P.Paschim.Kshetra .V.V.Co.Ltd. Indore, a successor company of M.P. State Electricity Board is inviting online applications from eligible candidates for the post of Junior Engineer (Distribution) on regular basis. About Organization ->> Government of Madhya Pradesh (मध्य प्रदेश सरकार) vide order dated 1stJuly, 02 has integrated the organization as a completely owned Govt. of Madhya Pradesh Corporations under the Companies Act, nineteen fifty six to undertake activities of distribution and retail supply for and on behalf of MP State Electricity Board in the areas covered by Commissionaires of Indore and Ujjain. Education Qualification ->> Diploma in “Electrical” or “Electrical and Electronics” Engineering from a University/ Polytechnic College. Pay Scale ->> Rs. 13,960/- (Per Month).